This is a guest post by Managing Editor Jenel Stelton-Holtmeier. I’ve known for a long time that being involved with the hemp industry can be complicated. The gray areas of legality keep a lot of people out, while the diehard supporters continue their crusade to save the world with hemp. I’ve lived in four states. And while editing our new Hemp Industry Report, I learned that each of those states holds a place in the top 10 for hemp producers and supporters. I’ve probably been hearing about hemp and its myriad uses for most of life and seen several applications tested on a small scale, from clothing to food to building products. In Minnesota (one of those four states), it still grows wild in abundance thanks to the prominence of the crop during the WWII era. It’s fascinating to watch how sentiment is changing about the crop – while at the same time, policy isn’t making any rapid advances. Congress legalized cultivation of the plant on a limited basis in 2014, but many state legislatures are still trying to figure out how – or even if – they want to embrace it. What’s so intriguing is that, unlike so many other issues, support of hemp crosses many political boundaries. While Colorado, my current home state and one of the leaders in the hemp evolution, is often viewed as the Wild West of cannabis, no one will ever accuse North Dakota – another of those states I’ve lived in – of being a bastion of liberal ideology. The industry has a long way to go, however. Not just with policy, but also with refining the techniques to make those many applications feasible and profitable – because, let’s face it, hemp needs to be profitable to convince people to continue to invest in and develop production. CBD oil right now is the most profitable and, in many ways, easiest product for producers. But we’re seeing advances in technology for decortication that could make fiber more prominent. And all of us here at Hemp Industry Daily get to play a role in sharing those developments and analyzing their effects as they happen. Please join us as we track and analyze the daily and long-term developments in this emerging industry. 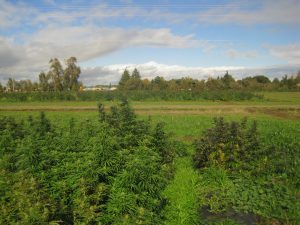 Want to learn more about the state of hemp? Download our free analysis, Hemp Report: Top 10 U.S. States.